The Hot Pink Hipster Bouquet is the ideal gift for a birthday or just to brighten someone's day. 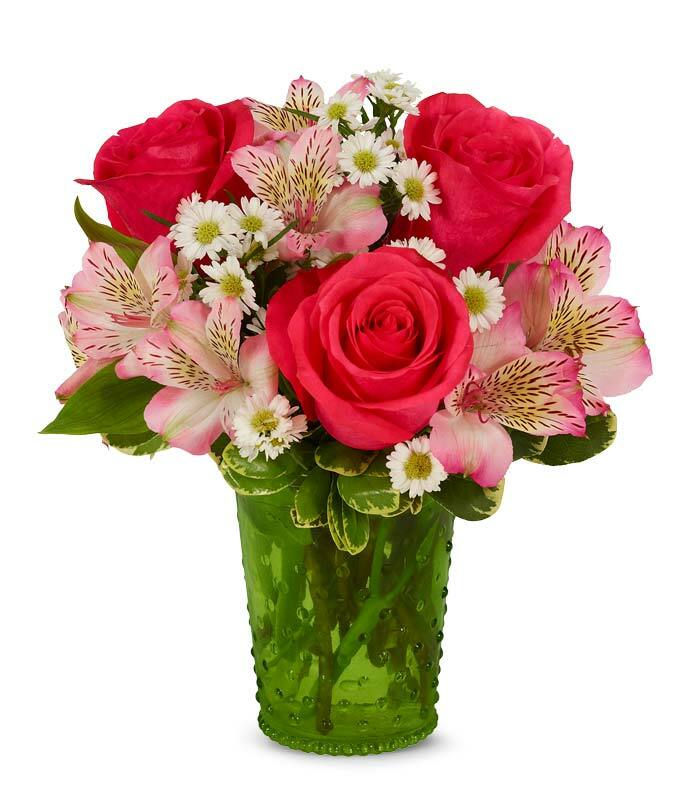 White Monte Casino, pink alstroemeria, and hot pink roses are arranged in a green hobnob vase. Available for same-day delivery, this lovely bouquet is sure to make your recipient smile with happiness. Measures 11"H by 8"L.